When you first look at Milgard® fiberglass new construction and replacement windows, you might think you’re looking at an all-wood window. That’s no coincidence. Our fiberglass windows and replacement fiberglass windows are designed to match the beauty and profile of solid wood windows, while providing the strength, durability and performance of fiberglass windows. Milgard’s own fiberglass production process enables us to make the complex profiles required for the look of painted wood windows on the exterior, with the option of choosing fiberglass or natural wood for the interior. Our process also allows us to engineer superior fiberglass windows that are impervious to water, cold, heat, insects, salt air and ultraviolet rays. Add to that our Full Lifetime Warranty with Glass Breakage and you have energy-efficient fiberglass windows that maintain their beauty. Because it’s made of glass fibers, it expands and contracts at the same rate as the insulated glass it holds. This puts less stress on the seals, reduces the chance for seal failure and results in a clear, fog-free window that lasts for years and years. 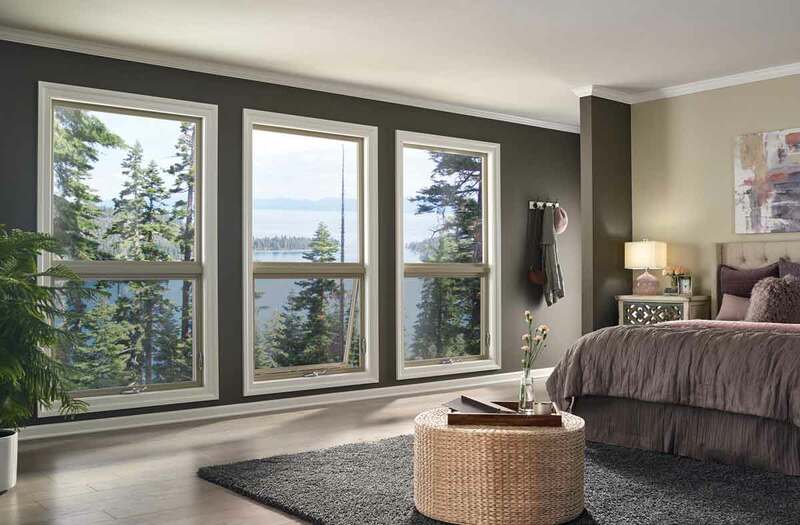 Milgard® Ultra™ Series fiberglass windows combine a traditional wood-frame profile with the strength, stability and low maintenance of fiberglass. Our fiberglass windows withstand the harsher sides of Mother Nature like no other window, yet look like traditional painted wood windows. In fact, you can choose any of our factory-painted exterior colors or paint the exterior yourself. And for multi-unit projects, Milgard offers the option of custom colors applied at the factory. 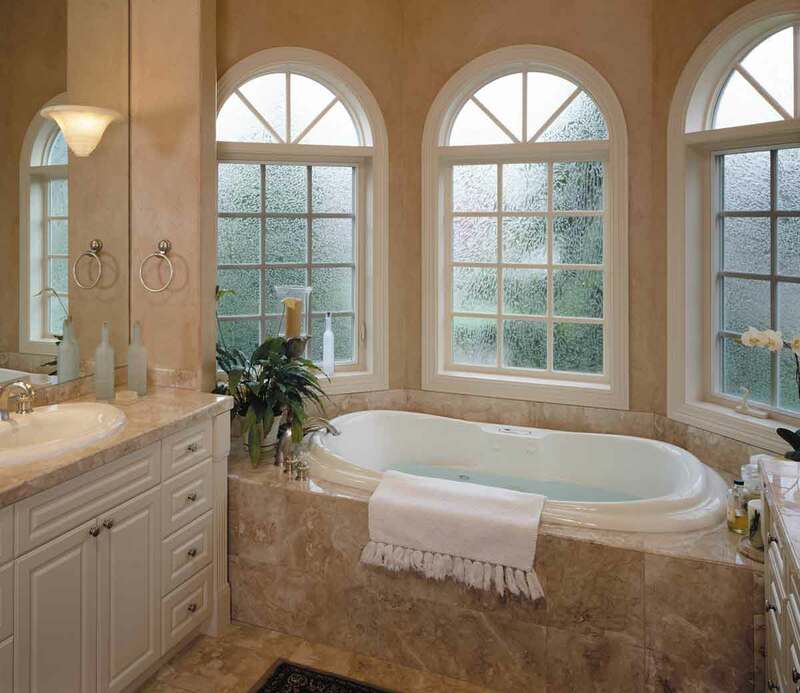 Milgard fiberglass windows are custom made to your home’s exact specifications at no extra charge or extended lead time. You can customize them with our wide selection of hardware finishes and virtually endless grid options. All Milgard fiberglass windows are covered by our Full Lifetime Warranty with Glass Breakage. If you are looking for wood windows, you are in the right place. With Milgard WoodClad windows, you get a carefree fiberglass exterior, plus the interior rich, warm beauty of wood windows. Our WoodClad windows feature furniture-grade, natural wood in Douglas Fir or Mahogany without a nail hole or staple on them. Seal with a clear sealant or stain to match your existing woodwork. For the exterior, order Milgard WoodClad Series fiberglass windows in any of our factory-applied standard exterior colors. Customize even further with our wide selection of hardware and grid options. Milgard fiberglass is the ultimate window frame material. Because it’s made of glass fibers, it expands and contracts at the same rate as the insulated glass it holds. In fact, we’re so confident in the strength and durability of our fiberglass windows they are covered by our Full Lifetime Warranty with Glass Breakage. Get Free In-Home Windows & Doors Estimate! We do not offer overpriced windows that have little added value to the homeowner. At the same time, we do not offer low-end products that will not perform or last in Tucson’s extreme climate.